The retreat was the first milestone in our year of service, both tied to our program at Habitat and outside the organization as well. 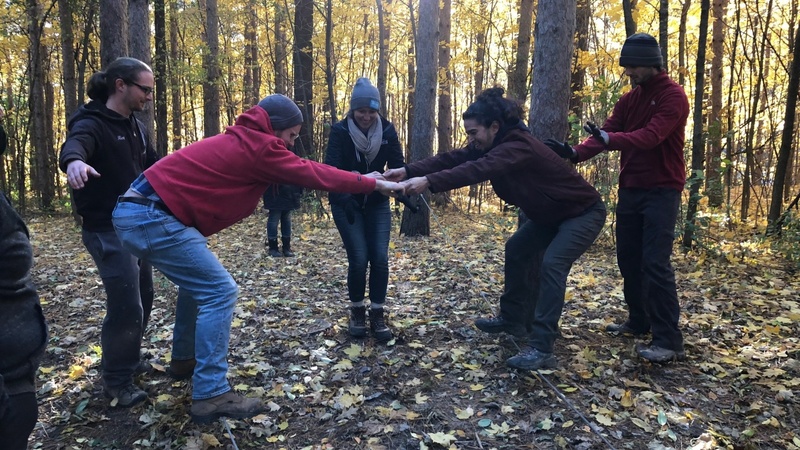 As service members dedicated to bettering our community, we learn to become effective leaders throughout the year by participating in several training and service activities - more blogs to come! After arriving on a chilly Friday night, we sat down together to talk about our six weeks of service so far and to learn from each others' experiences. Saturday was a day for hard work! 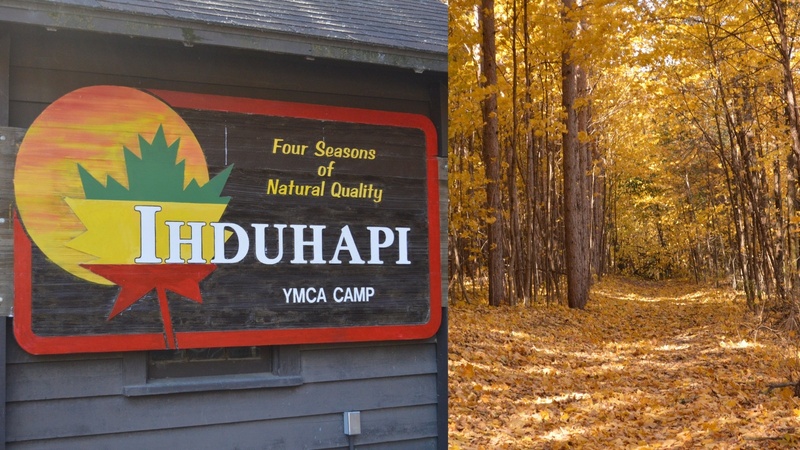 We dedicated half the day as a group to volunteer at the camp. 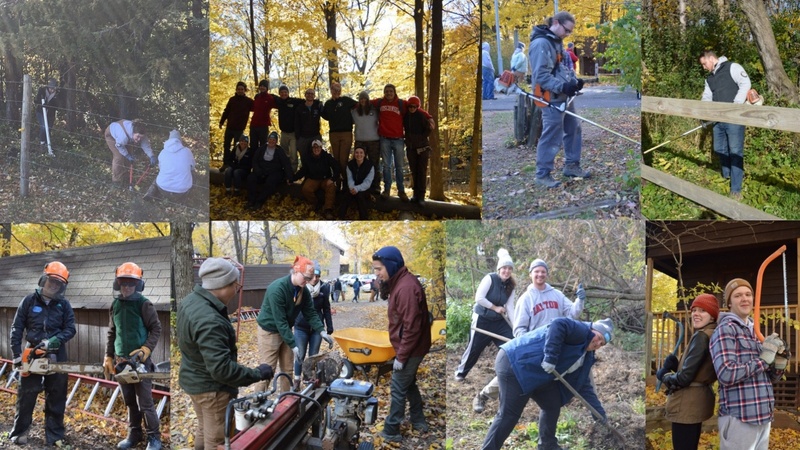 Whether it was chainsawing or splitting wood, building a deck, or even shoveling manure and clearing brush - we all had a really fun day of service that we spent as a team. After volunteering, we completed a series of group challenges (such as using each other to balance to walk on a wire below). All the challenges were difficult if the team didn't work well together. We learned how to listen to each other, welcomed new ideas, and learned to trust each other. We also took some time to learn about the history of Habitat and its social justice roots by watching "Briars in the Cotton Patch" and having a group discussion. Then, on Sunday it was time to learn about ourselves. We used the enneagram test to find our style of leadership and see how we could work as a group. Being able to work with other personality types is what makes for positive leaders, so this activity helped us to grow our capacity in our interactions with staff, volunteers, and the homeowners we are serving. Learning what helps you have a positive experience and where you can grow is always helpful - and always changing, so this was a great activity to start the year. 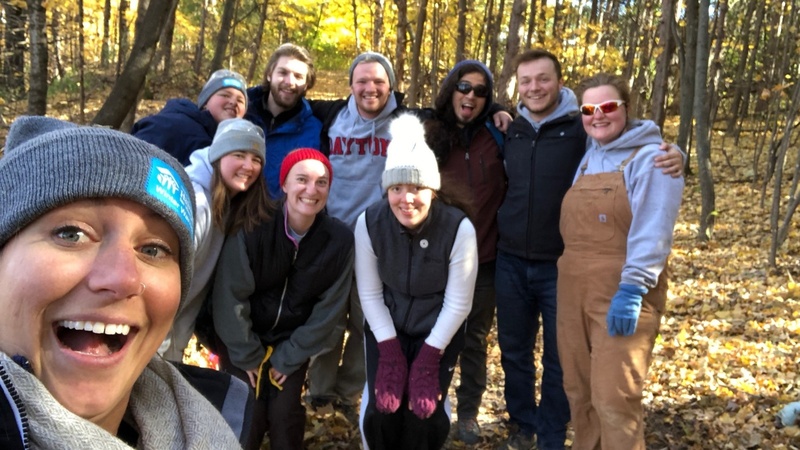 Overall, I think it was a fun experience that helped us get to know each other outside our service positions - and that can help us grow by itself. 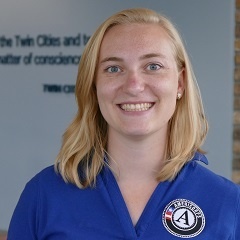 As many people commonly say as they exit the AmeriCorps program, friends are one of the best benefits of serving here at Twin Cities Habitat for Humanity.